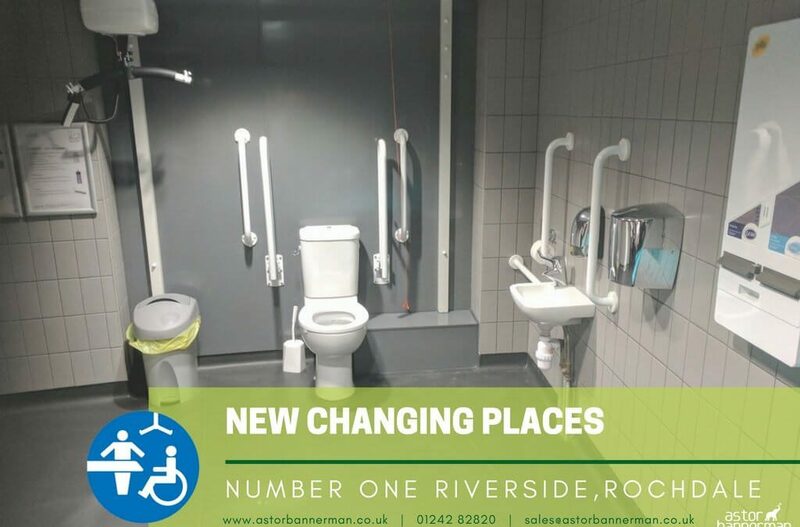 Astor-Bannerman are pleased to be committed to assisting with their accessible Changing Places developments as part of this huge project. 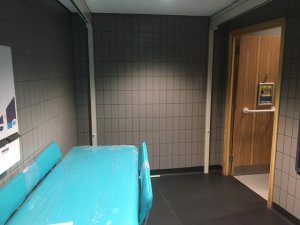 As the number of Changing Placesin the UK currently stands at 972 we creep ever closer to the magical 1,000 mark. 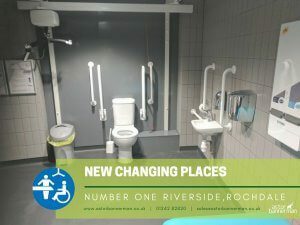 Last week Rochdale Borough Council contributed by installing an accessible Changing Places toilet in their new Number One Riverside Building for members of the public to use. 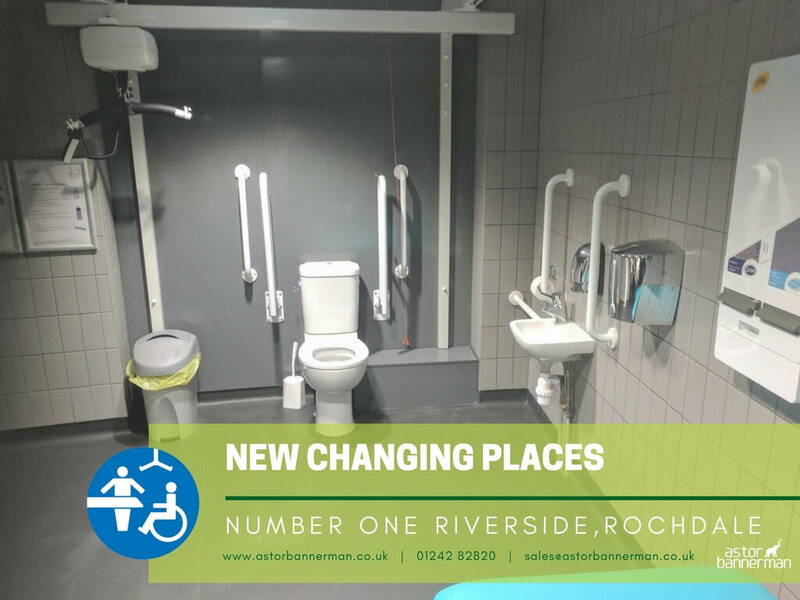 The team at Astor-Bannerman worked with Rochdale Borough Council to install a brand new Changing Places toilet at Number One Riverside. 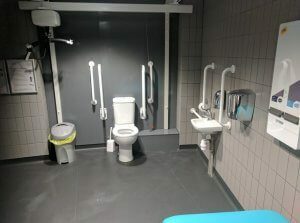 As well as being home to Rochdale Borough Council offices, this publically accessible multi-use award-winning public building also incorporates a number of facilities for the public to enjoy including to enjoy including library, coffee shop, conference rooms customer information point and more. 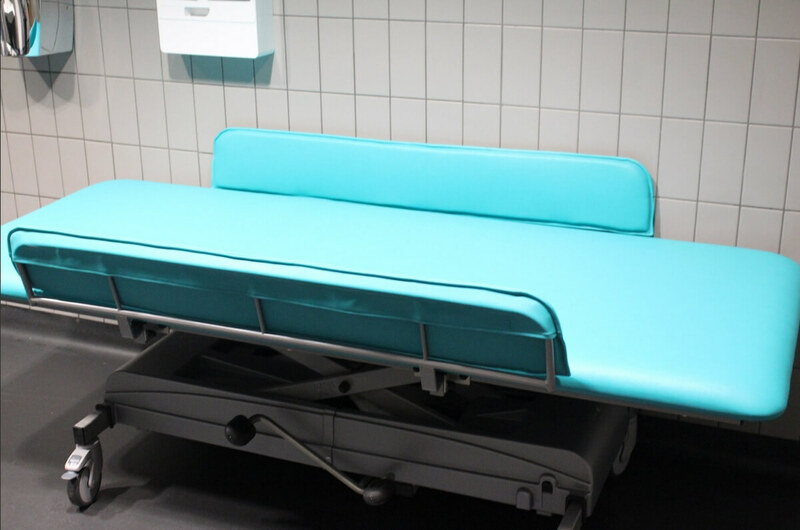 The ‘Mona’ adult size height adjustable mobile changing tablein the new Changing Places toilet is easily adjusted in height using a food pedal and allows for easy and comfortable changing of continence pads and/or clothing. “I am unable to weight-bear at all, so I need a changing table and hoist to be able to use the bathroom safely and with dignity.Otherwise I have to wait until I go home, which often means I have to cut short my trip out”.